We are focused on delivering the best and most comprehensive cloud and managed services, so sponsors and CROs can focus their attention on building their product pipelines instead of implementing and maintaining their own systems on-premises. BioPharm Systems, a leading global IT consulting and managed services provider (MSP) specializing in Oracle's clinical trial, data, safety, and pharmacovigilance management systems, today announced that it has been named to Talkin' Cloud's list of the top cloud services providers for the third consecutive year. The Talkin' Cloud ranks companies by annual cloud services revenue growth. "For the third consecutive year, BioPharm has been positioned as a leading cloud services provider leader, which we believe speaks to the value that life sciences companies of all sizes are finding in our private cloud hosting services and our expertise in Oracle's clinical and pharmacovigilance applications," said Alex Sefanov, president and CEO of BioPharm Systems. "We are focused on delivering the best and most comprehensive cloud and managed services, so sponsors and CROs can focus their attention on building their product pipelines instead of implementing and maintaining their own systems on-premises." "Nine Lives Media and Talkin' Cloud congratulate BioPharm Systems," said Amy Katz, president of Nine Lives Media, a division of Penton. 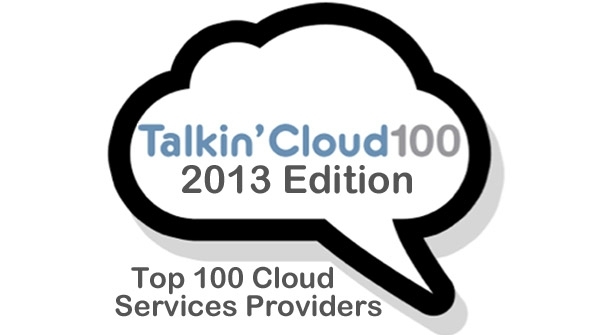 "The Talkin' Cloud 100 honor arrives amid a land grab in the cloud computing market. And the Talkin' Cloud 100 companies are leading that land grab." Dropbox, NetSuite, SAP, Google, Oracle, Microsoft, Amazon, and Salesforce are also on this year's Talkin' Cloud 100 list. BioPharm is a Gold level member of Oracle PartnerNetwork (OPN) and an Oracle Accelerate solution provider. The company has achieved Specializations in Oracle Argus Safety Suite, Oracle Life Sciences Data Hub, and Oracle Accelerate for Midsize Companies. Nine Lives Media, a division of Penton (penton.com), defines emerging IT markets and disrupts established IT markets. The company’s IT channel-centric online communities include MSPmentor (MSPmentor.net), The VAR Guy (TheVARguy.com) and Talkin’ Cloud (TalkinCloud.com). For millions of business owners and decision-makers, Penton makes the difference every day. We engage our professional users by providing actionable ideas and insights, data and workflow tools, community and networking, both in person and virtually, all with deep relevance to their specific industries. We then activate this engagement by connecting users with tens of thousands of targeted providers of products and services to help drive business growth. Learn more about our company at penton.com. Oracle Accelerate provides simple to deploy, packaged, enterprise-class software solutions to growing midsize organizations through Oracle’s network of expert partners. Oracle Accelerate solutions enable growing midsize organizations to easily adopt Oracle's enterprise class software. Created by Oracle's expert partners, Oracle Accelerate solutions are simple to deploy, industry-specific packaged solutions, designed for fast time to benefit, which means getting the right solution in place quickly, inexpensively with a controlled scope and predictable returns. The best Oracle Accelerate Solutions are based on Oracle Business Accelerators, which are advanced implementation tools, created and maintained by Oracle. To find out more, visit oracle.com/accelerate. BioPharm Systems (http://www.biopharm.com) is a global IT consulting and managed services provider (MSP) that focuses on the life sciences industry. We have extensive experience in the implementation, integration, migration, upgrade, and hosting of the following Oracle clinical trial management, drug safety and pharmacovigilance, clinical data warehousing and analytics, clinical data management, and electronic data capture systems: Siebel Clinical, LabPas, Argus Safety Suite (Argus Safety, Argus Safety Japan, Affiliate, Interchange, Reconciliation, Dossier, Insight, and Perceptive), Adverse Event Reporting System (AERS), Empirica Signal, Empirica Topics, Life Sciences Data Hub (LSH), Clinical Development Analytics (CDA), Oracle Clinical, Remote Data Capture (RDC), and Thesaurus Management System (TMS).